5 stars of charming hilarity for the whole family. Paddington 2 is written by Simon Farnaby and Paul King (Paddington, The Mighty Boosh), who also directs the film. 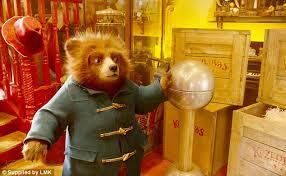 It is based on the best selling children’s books about Paddington Bear by Michael Bond (Olga da Polga). Paddington Brown (Ben Whishaw – Cloud Atlas, Spectre) has now been living with the Brown family for some time and settled in well in Windsor Gardens, having made friends with most of the neighbours. With the 100th birthday of Aunt Lucy (Imelda Staunton – Shakespeare in Love, Vera Drake) on the horizon, Paddington is determined to find her the perfect present. 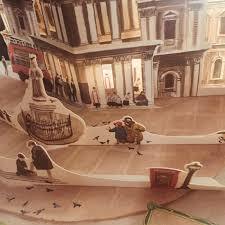 He finds a pop-up book of London in the local antique shop which would give her the experience of seeing the city she has always longed to visit. He gets a series of hilarious odd jobs in order to pay for it. Unfortunately, someone else also has their eyes on the book. Washed out actor and new neighbour Phoenix Buchanan (Hugh Grant – Love Actually, Notting Hill) is looking to revive his career and believes the book holds the key to a long lost treasure. 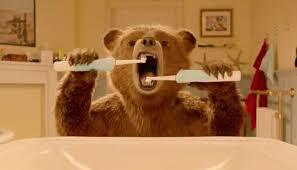 When the book is stolen, Paddington’s attempts to stop the thief lead to him being arrested and thrown in jail. It is now up to the Browns, Henry (Hugh Bonneville – Downton Abbey) and Mary (Sally Hawkins – The Shape of Water, Blue Jasmine) to find the culprit and help Paddington to clear his name. Paddington 2 is a truly delightful film, a brilliant blend of adventure, peril and humour and a lovely way to spend an afternoon. Make sure to watch right to the end of the credits so you don’t miss anything! Perfect for children, it is also pitched to be equally enjoyable for adults, excellent for the whole family. 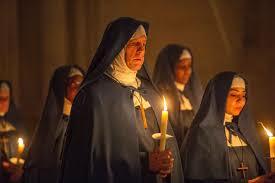 The cast is quite startling too, including Michael Gambon (The King’s Speech), Julie Walters (Brooklyn, Mamma Mia! ), Ben Miller (Primeval), Brendan Gleeson (In Bruges, The Guard), Joanna Lumley (Absolutely Fabulous) and Peter Capaldi (Doctor Who, World War Z). The plot is really well written and the character of Paddington is as charming and lovable as ever, uniting people wherever he goes and really doing justice to the memory of Michael Bond. A must own for any fans of this brilliant little bear. 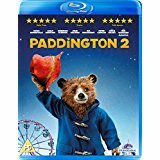 Paddington 2 is available to buy now on DVD, Blu-ray and Blu-ray Steelbook.